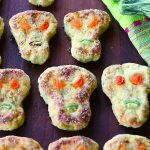 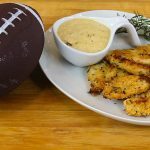 Are you looking for a kids’ friendly idea for the upcoming Super Bowl Sunday? 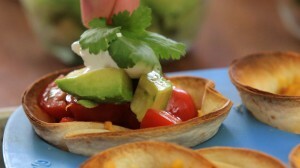 What about some mini taco cups?The mini portion size is perfect for kids and for any party. 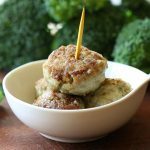 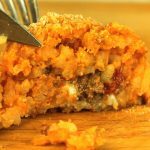 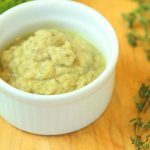 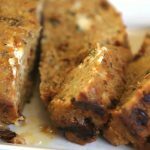 The recipe is super easy and fast to prepare…so it’s perfect for any dinner night where you do not have too much time to cook and you want to prepare something healthy, tasty. 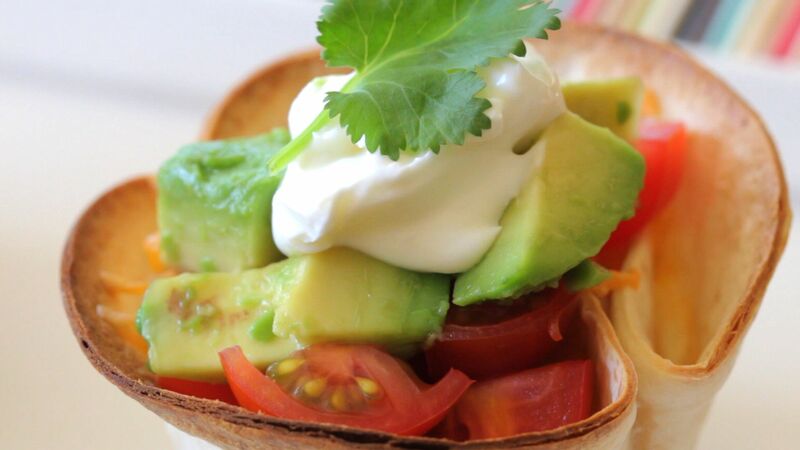 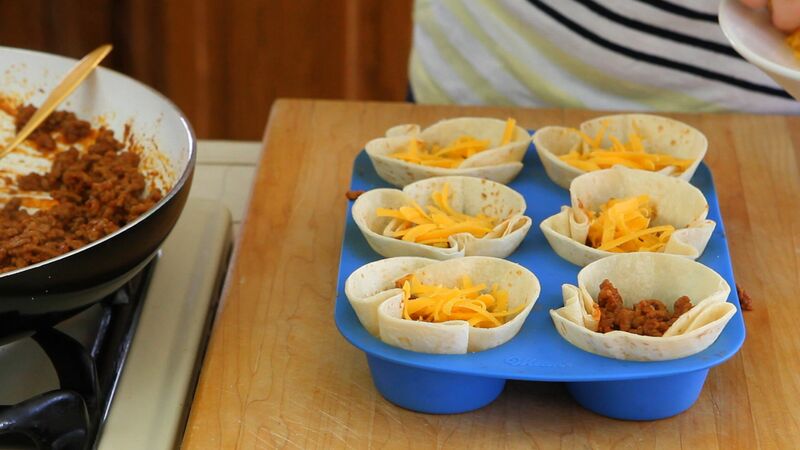 Make the taco cups a fun meal: bake the taco cups and serve them warm. Place in the center of the table little containers with different toppings to choose from and let your kids decide which topping to put on the taco cups: they will love it! 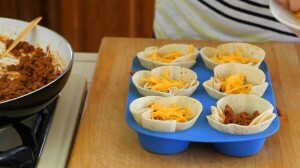 To create the taco cups I used some white flour tortillas, a 5 inch diameter lid and a cupcake pan. I cut some nice regular circles from the tortillas (and used the leftovers as crackers!) 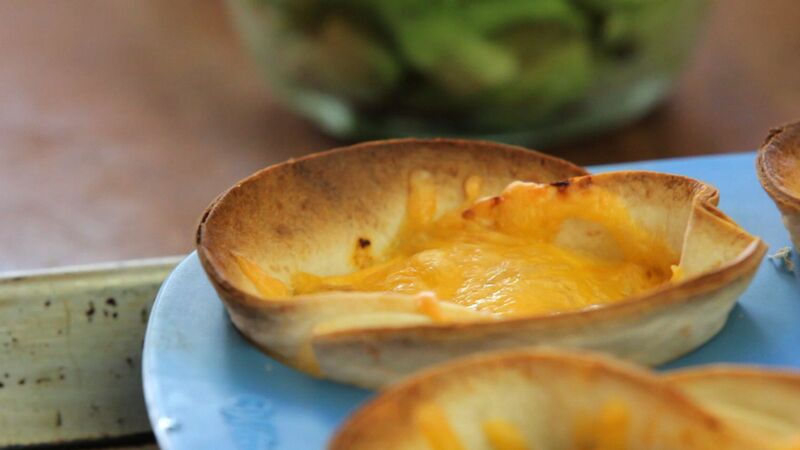 and placed them in the microwave for 10 seconds. 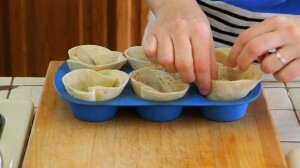 This helps the tortillas to get soft and easily take the shape of the cups. 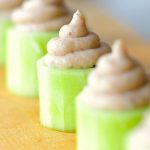 Let them rest on the side. 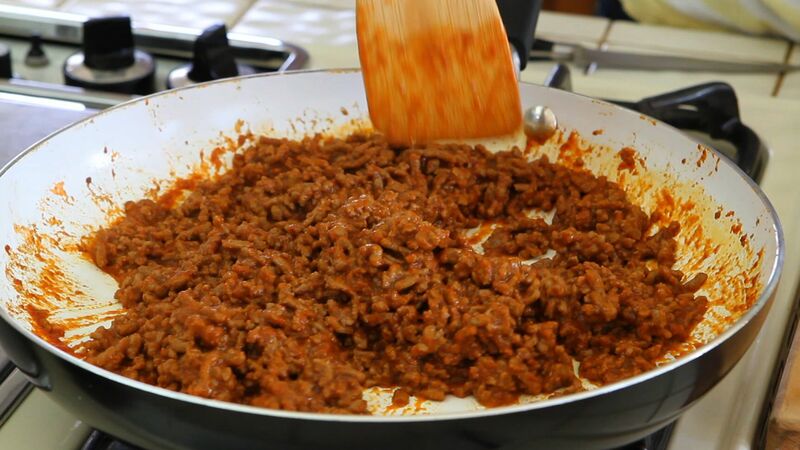 Preheat the oven at 375 F.
In a medium pan over medium/high heat place 2 tbsp of extra virgin oil of olive and the ground beef. 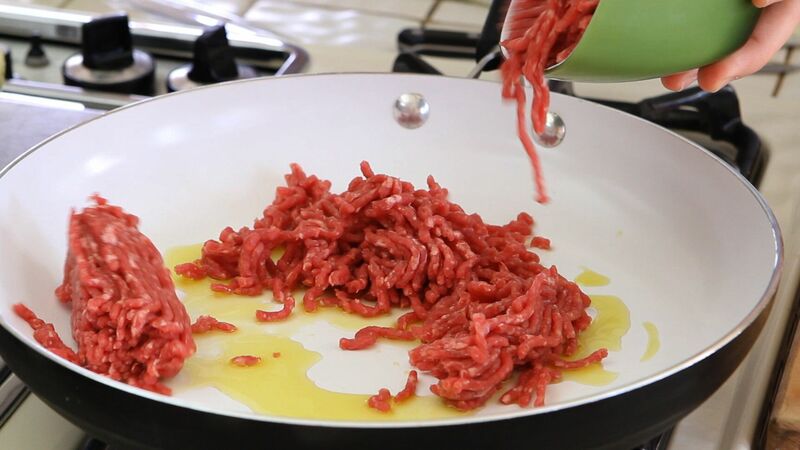 I found this very lean (5%) Angus ground beef at my local butcher, but you can choose the kind of meat that you like more. Add a pinch of salt and cook for few minutes. 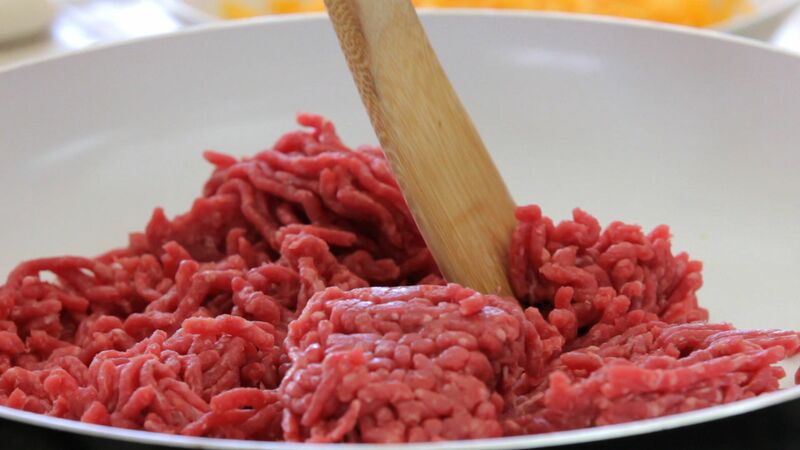 It really takes few minutes to cook!! 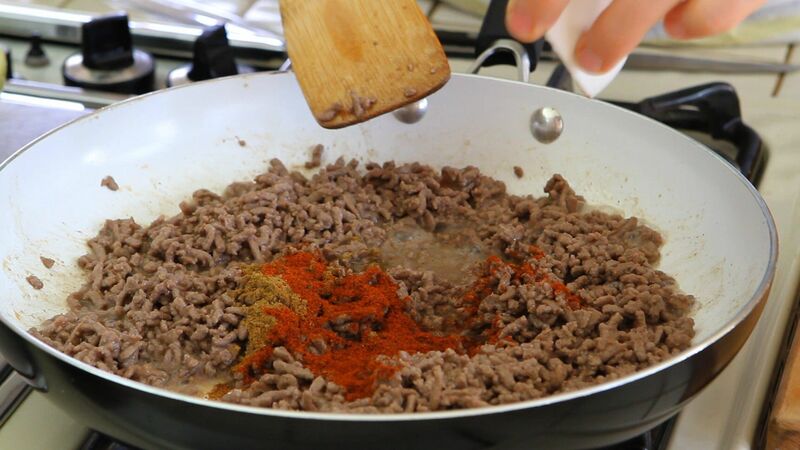 When the meat is cook you can add the spices (cumin and chili powder). As I was cooking for kids I didn’t go too heavy with the spices and I didn’t use pepper at all. 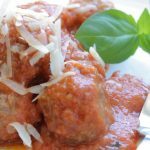 I also added the tomato sauce and cooked everything for few more minutes, up until the tomato sauce was well absorbed by the meat. 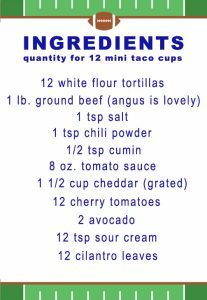 Oven ready, I baked my taco cups for 12 min, broiling them for the last 3 minutes in order to get a golden crunchy texture. 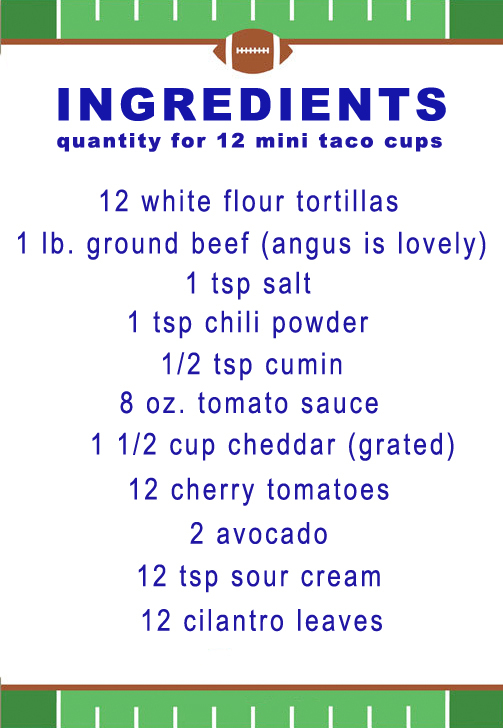 Now it’s totally up to your taste. For the topping I used some cherry tomatoes (they are sweeter than regular tomatoes), Hass avocado (our favorite), sour cream and cilantro. 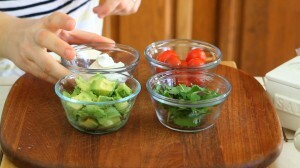 You can also add olives, pico de gallo or any kind of salsa that you like. Play with the colors and flavors!